Hi all - According to the doc, everything went fine and now it's on the the rehab phase. I'll be in the hospital until Thu or Fri then on to a step-down rehab center for about a week. I'll let you know if anything interesting pops up and thanks for keeping me in your thoughts. There has been a photo showing up on Facebook of a grilled cheese sandwich and a bowl of tomato soup with a caption regarding remembering this meal from our childhood, but I don't have remember that far back. 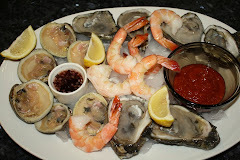 On a dreary and cold Monday after Valentines Day, Bev advised she wanted this meal for lunch and I let her know me too. Unlike the versions from my childhood which were made with either American or Longhorn cheese, Bev made these with good cheddar and pepper jack and mine also got mayo, dill pickle, lettuce and onion. The soup was the same as the childhood version - Campbell's Tomato made with milk. The photo wasn't so hot, but the meal was very good and perfect for the weather. A Little Cajun/Creole At Home. This weekend turned into a small Acadiana Festival at our place beginning with a visit from son Rhett and part of his family. During our trip to LA, we bought him some Crawfish Pies and when we told him about them, he said he really also liked boudin. So as an appetizer for Saturday nights fried crappie, we fried some of the Pepperjack Stuffed Boudin Balls from Poche's and while I got no shots they were still killer good. And in keeping with my plan to provide him with his expressed desire, I broke out a package of Crawfish Boudin links (also Poche's) and poached them to go with fresh-from-the-farm scrambled eggs and sourdough toast that Bev just bought at the Ole Mill Pottery House Cafe and Grill in Pigeon Forge (she and Pat had spent the week in Gatlinburg). So we fixed Rhett up well, but got no shots, and sent him back to South Carolina with his crawfish pies and a couple packages of frozen crappie fillets. For years I’ve been saying that Bev is the real chef in this family and this is a fine example. Our last day in Louisiana, she decided to make some egg salad for sandwiches for the road and she ended up making a pretty big batch so we still had leftovers when we got home. 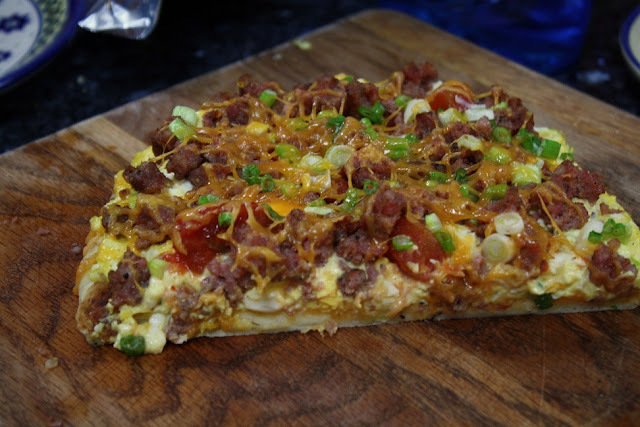 While we were watching TV one evening, she announced that she had a plan for breakfast involving the egg salad and what she made was creative and delicious – and I thought I was the egg man. She made a breakfast pizza using Naan bread, egg salad, hot breakfast sausage, cheese, green onions and a few small dollops of salsa here and there. After assembly it was baked in the toaster oven until warmed through. It was sooo good and I loved every bite of it, including the ones with the little zing from the salsa - until I can top this, Bev is now the recognized egg-dish master at this house. Some of you out there - you know who you are - have got to try this. Normally, if we are home for the 6th week of the year, we utilize our time share in Gatlinburg, TN by Bev and I going up on Fri then me coming home on Mon and Bev's girl friends heading up for them to power shop the rest of this week. Since the weather was only going to be good for shopping on the initial weekend and the Superbowl was also then, I suggested we reverse our normal plan. Since I would be watching the Super bowl alone, I asked my buddy Joe if he would like to join me, then he asked his wife Carol if she'd like to come and she said yes and then our neighbors, Pat & Steve said they would like to come down for the game and an imprompto party was born. For the last couple of weeks many bloggers have been posting some great suggestions for Superbowl eats and I would have liked to have tried most of them, but for this party Carol suggested we fire up the grill and eat before the game so we just had this. All I needed to provide was baked potatoes (Irish and sweet), a place to grill & eat, and a room with big screened to watch the game - was that a great deal or what? I wish I had buttered my potato and cut my steak for a second shot as I got them both perfect. Joe commented that this may have been the best steak he'd ever eaten - they just got a little olive oil and Montreal Steak Seasoning on each side and I got them cooked right for a change. This may be the new go-to big game eats for Almost Heaven South. If you would like to spend the 6th week of 2017 at a nice two bedroom condo at Gatlinburg Town Square, let me know as we will be putting it in the rental program soon. 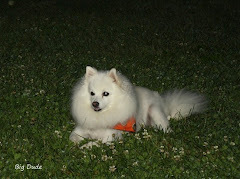 Thanks for Stopping by and photo can be enlarged by clicking on it. 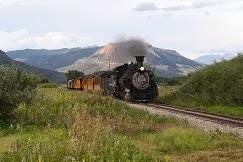 The two day trip home was just the way we like it – totally uneventful. We drove about 400 miles on day one to the first decent campground I could find, located in Tuscaloosa – the ladies were anti another Walmart stay. Sunset RV Park is located on the south side of town and judging from all of the unoccupied RV’s sitting in spots, I’m guessing the main business here has to do with Alabama football games. 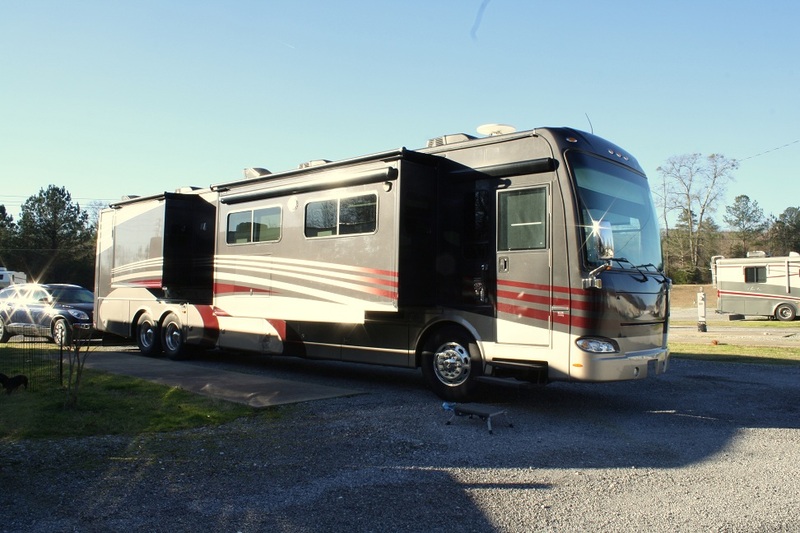 It was perfect for us as it was near the interstate, easy to get to, and had sites that could accommodate us without unhooking the car. We were originally scheduled to leave on Tuesday (day 13) but I wanted to neither break camp nor drive in the rain & wind so we extended two days to let them get out of the Southeast and allow the coach to dry off. Tuesday morning was nasty with cold rain and wind so we basically piled up it the coach and when it cleared we made another trip to Poche’s meat market to pick up a few more goodies to take home. We decided that if we ever got another RV, a fireplace is a must - it gets a lot of use when it's cold as it heats the living area with electricity I'm already paying for. It was our next to last day and there were two things Bev really wanted to do – both in New Iberia. First on the agenda was to visit the Conrad Rice Mill which is the oldest operating rice mill in America. The mill was built in 1912 by Philip Amelius Conrad so he and other local growers would not have to ship their rice to New Orleans for milling. 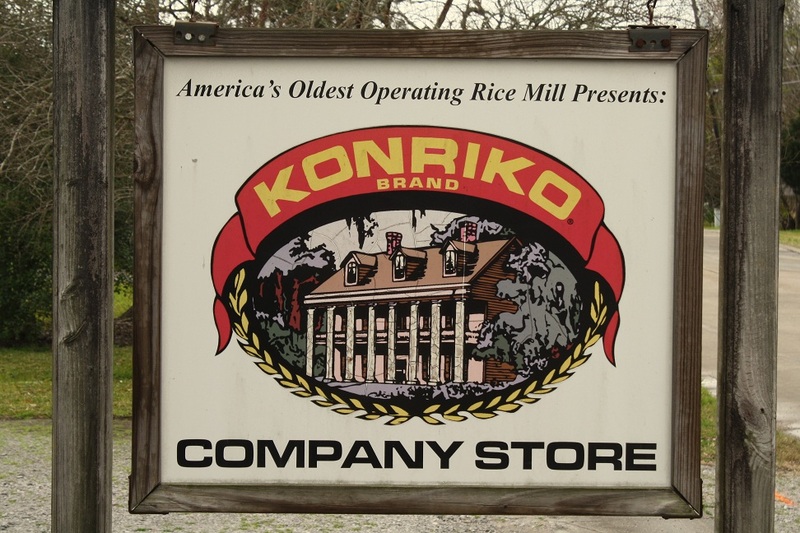 We began in the company store with a short slide show about settlement of the area, growing rice, and the beginnings of the mill. 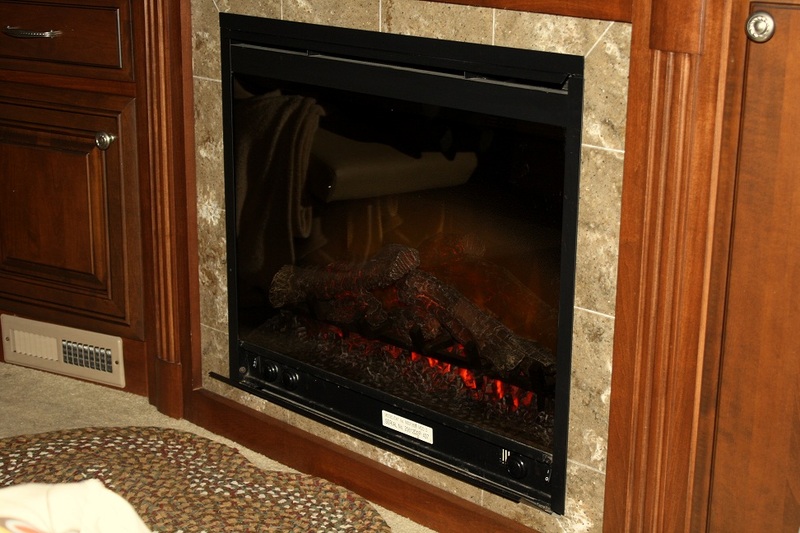 Henderson, LA temps – 74/45, 46/37, 51/32, 58/32; home temps – 40/29, 38/26,28/23, 41/16. Not much happening on Thuirsday as we were ready for a break from going out for a big meal (I had a bowl of Grapenuts with blueberries for breakfast) then the girls headed off to Breaux Bridge to finish the shopping they had begun yesterday and I hung around the RV in case the anticipated thunder storms required some coach attention. 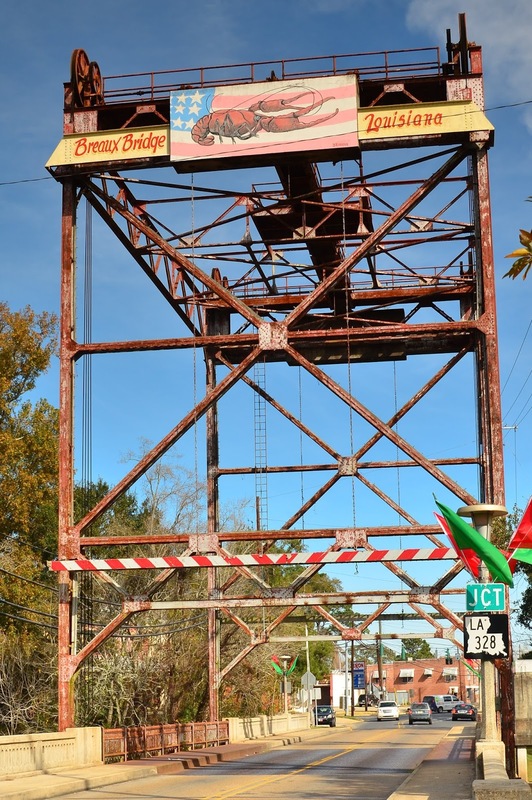 Beaux Bridge is a small city of 8000+ and named after Acadian pioneer Firmin Breaux. It is billed as the Crawfish Capital Of The World as St. Martin Parish, Breaux Bridge's home, produces the most crawfish in the state and has the most crawfish acreage in the eight-parish area known as Acadiana. Here are a couple of shots of downtown. Henderson, LA temps – 72/51, home temps – 29/21. WOW 53/30 degree difference. 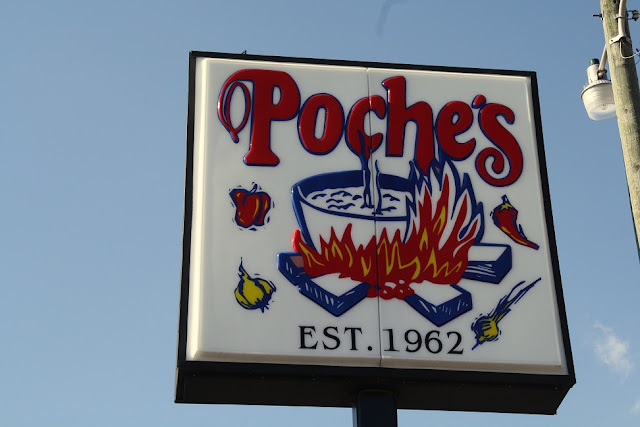 As you might well know, one of the things that interest us about this area is the food so we’re trying to get around to several restaurants and markets and this day it was Poche’s Market, Restaurant, and Smokehouse, which is about 15 minutes from the campground. Right next door to the restaurant is the meat processing plant where they butcher their own meat and make the sausages and other tasty treats available in the market and restaurant.